Flexibility and freedom have certainly made life easier for all of us in multiple ways. Being a manager, you have to juggle multiple responsibilities and be a jack of all trades. In the business world, staying relevant is the name of the game. And being alert and informed as what your customers want is extremely important. With more and more people using their mobile device for everything from scanning information through shopping and everything in between, having any time and anywhere access becomes all more important. With the changing dynamic in the workplace, mobile ERP has changed the way we create email campaigns, scan information and accomplish tasks in our daily lives. In fact, mobile has officially surpassed desktop viewing as a main way of scanning and gaining work-related activities and information. In all likelihood, you’re using your phone to chat with co-workers, reading some valuable materials and so much more. So, if you need some immediate information on business operations and access business data from anywhere then this blog serves as a great piece of information. Let’s explore some of the unique benefits and concepts of mobile ERP. If you are a business owner, you may probably know that typical office hour can never bound you. Your business can demand your attention anytime and anywhere. Is your mind preoccupied with the thoughts of business proceedings even while you are far away with your friends and family?. With the mobile ERP by your side, you can scan information anytime and anywhere with perfect ease. Imagine you are on a business trip and want to immediately check about the current stock levels and available raw materials in the warehouse. At such times, mobile ERP will appear as a blessing in disguise as it will uncover all relevant details in a jiffy. Do you want real-time updates on sales figures while attending a boardroom meeting? You can scan information then and there and tell the all vital details to the management. Speed, efficiency and timely information are the basic necessities of any business. 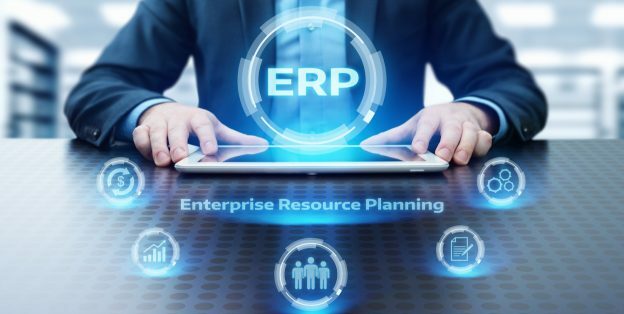 Sometimes smart ERP like SAP Business One is all what is needed to gain actionable information on hand at the time of making critical business decisions and outperforming the competitors. The age-old ways of operations and manually task won’t work anymore. So, in this regard switching over to an automated system makes sense. On top of it, you can overcome loopholes and bottlenecks with a robust and enterprise-ready ERP. Just like any other businessperson, you too aspire to see your sales team, finance team, production team collaborating more closely. With a smart ERP by side, it becomes increasingly easy to have an increased collaboration. Mobile cloud ERP solution is changing the face of every possible industry at a fast pace, giving your organization a much–required freedom of operation. A mobile cloud ERP effortlessly manages the key information about your business like bills of materials, customer records, production, planning, order management etc. On top of it, you can access all information from anywhere and at any point in time and keep a bird’s eye view on the entire business from start to finish. Those who have taken the lead, are reaping its benefits. What about you? This entry was posted in ERP and tagged mobile erp, mobile erp benefits, mobile erp solution on March 12, 2019 by Nidhi Batra. Innovation is the key to moving faster and adapting to the new changing environment. The faster your organization innovates, the more the chances to meet your strategic business objectives. 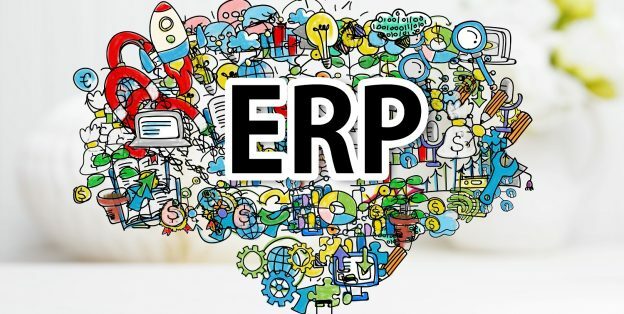 However, traditional ERP systems often prove cumbersome and rigid to keep up with the evolving needs of the business. That’s why Cloud ERP has been preferred by companies of all types and sizes. 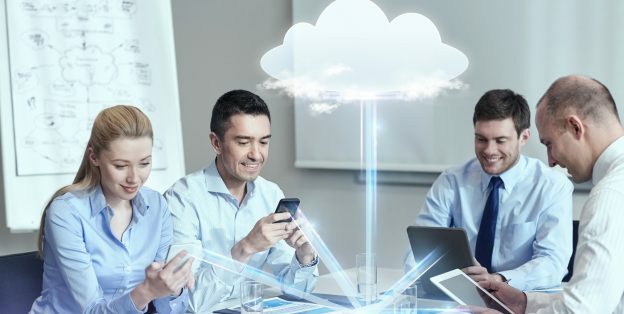 While Cloud ERP offers similar functionality that of on-premise ERP in terms of usage; it also offers various other benefits like cost savings, flexibility, scalability, security and performance. This blog will give you a quick rundown of eight benefits of Cloud ERP. There’s no need to invest in extra application software licenses when you can have a robust ERP software in place. The cloud ERP solution mitigates the need for investing in additional hardware or data servers and licensing fees thus bringing down the cost substantially. Any good cloud ERP solution such as SAP Business One sends alert notifications of upcoming upgrades. These upgrades are usually auto-generated on the client’s server. Also, an experienced cloud vendor usually conducts these upgrades and backups almost during non-functional working hours, thus saving productive hours and keeping the system up-to-date and available whenever you need it. A perfect Cloud ERP service provider assures you the least possible server downtime. This ensures less conflict and confusion while migrating it to the cloud. Data entered in the ERP software are safely stored in the cloud. It can further be recovered easily in the event of any mishappening or disaster. A cloud solution provider knows all the security protocols and ensures all the safety measures needed to protect the data. Alongside, employees have access to important information anywhere and any time they need. Ask your cloud solution provider to make viable arrangements for disaster recovery. This way your valuable data is stored and you need not to have to worry about your data being lost. Cloud ERP solutions generally have the option of a pay-as-you-use model that can be tailored as per the specific customer’s needs. The implementation costs are considerably lower, thus reducing overall operational costs substantially. A true pay-as-you-use model based on the usage per hour appears to be attractive to the SMEs segment. ERP provides exceptional flexibility and scalability. It also increases the number of licenses whenever required at anytime. Also, a good vendor allows the companies to upload and access data in real-time via the cloud from anywhere and anytime. Typically, cloud-based systems take much less time to implement possibly less than an on-premise solution. 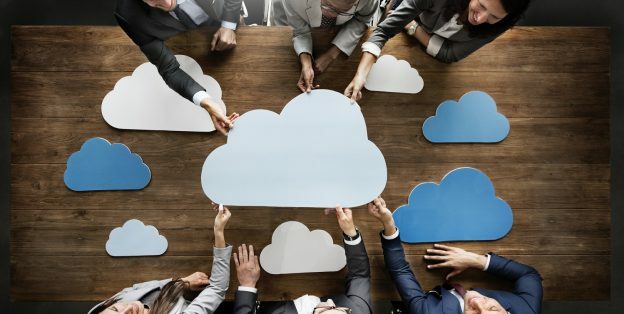 Cloud-based connectivity meets the needs of almost every department in your organization. Any department can receive and share information from another department so that everyone remains on the same page and reports can be accessed by everyone. The benefits mentioned above make Cloud ERP an integral part of small and medium-sized enterprises. So, which benefit appeals to you the most? Do share in the comments. This entry was posted in ERP and tagged cloud erp, cloud erp benefits on February 22, 2019 by Nidhi Batra. 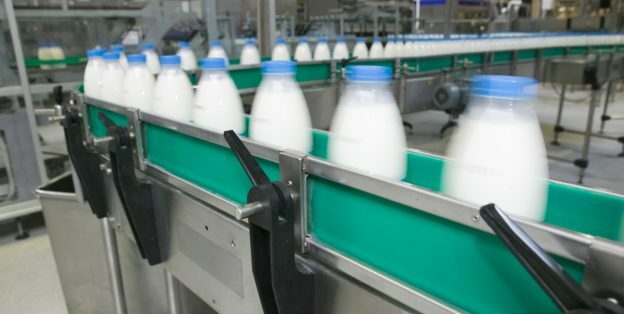 This entry was posted in ERP and tagged erp for dairy on January 22, 2019 by harpreet. In the beginning, a pure startup mode will primarily invest in resources and assets that will directly impact the productivity and build the foundation of the business. For instance, if it’s a pharma manufacturer then the business owner would invest heavily in collecting the necessary items for making drugs, equipments, machines, and the team required to make the product. Little attention is generally paid to the backend office and investing in a software that can also impact the business line in one ways or the another. 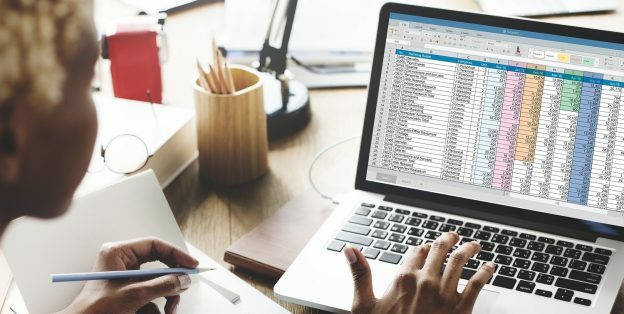 In the majority of cases, SMEs are happy with using spreadsheets and paper-based processes or file folders containing to save important information and do things manually just to save cost. But are they making a viable call by making their work paper-intensive? Certainly not, there’s more great option that a SMEs can embrace to make it to the top. 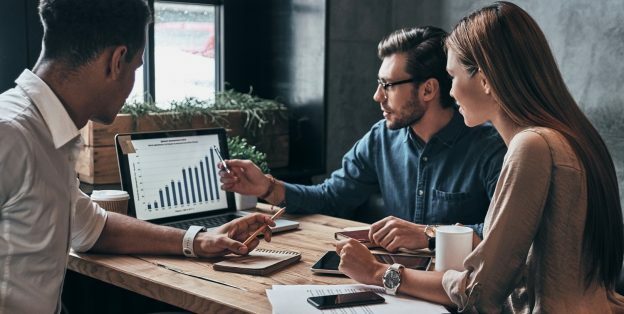 Rather than relying on spreadsheets and excel sheets, small and medium enterprises can rely on a robust, scalable and affordable ERP such as SAP Business One. This will facilitate these organizations with informed decision making driven more by gut feeling rather than data and hard facts. Although some of the accounting software may seem affordable and enticing to invest in, but they also come with hidden costs as well. While they also support the accounting function, what about all the other vital processes and functions that a business needs to support on a regular basis? There isn’t a single way of knowing when the right time is to move to business automation solution. However, the sure signs are the time when the challenges are hindering business performance and growth. Ultimately, if a growing business is spending more time in addressing inefficiencies then it makes sense to jump to a more efficient solution. Today, investing in enterprise resource planning (ERP) solution has become more affordable than ever before. At the same time, ease-of-use feature functionality has gradually scaled up. Partnering with SAP consultants can help you reap the maximum benefits of ERP. This entry was posted in ERP and tagged affordable erp, erp software for sme on October 5, 2018 by Nidhi Batra. This entry was posted in ERP and tagged cloud erp benefits on January 18, 2017 by Nidhi Batra. This entry was posted in ERP and tagged ERP implementation, erp partner, ERP Software, ERP software vendor, erp vendor on September 6, 2016 by Nidhi Batra. This entry was posted in ERP and tagged Choose, ERP, Partner, Right on July 8, 2016 by Nidhi Batra. This entry was posted in ERP and tagged ERP, Implementation, Successful, Tips on July 1, 2016 by Nidhi Batra. This entry was posted in ERP and tagged ERP, Software, Supply Chain Management on June 3, 2016 by Nidhi Batra. 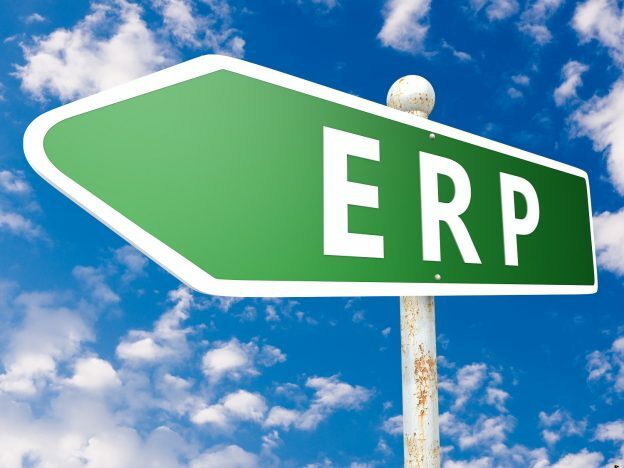 To cloud or not, is a critical question which businesses face while considering an ERP. On one side is the scalability and flexibility offered by the cloud, and on the other side is complete ownership of on -premises. Here is a point by point comparison of cloud and on-premises ERP to help you decide better! The basic difference between on premise ERP and cloud ERP is that an on premise ERP solution would typically be set up locally on your IT infra – all hardware and server components would be managed by your staff, locally. While in the cloud model, the infrastructure is offered as a service. All the required hardware and servers are managed by the vendor. • No fixed asset investment in hardware or servers. • Businesses may eventually end up spending more money depending on the lifecycle of the system and the number of users. Security • Data security is completely controlled by the vendor. • Data security is in the hands of the vendor. While vendors pledge strict data security standards, some organizations might not have total peace of mind with this arrangement. Customization • Customization is frequent and comparatively cheaper as the vendor takes care of all necessary updates and upgrades. Implementation • Shorter implementation cycle • Since customization is limited, implementation cycle is also shorter. Cost • License driven one-time costs. • Heavy upfront investment for hardware and other required IT infrastructure. Security • Business has the complete control over data security. • Businesses need to be well versed with all security protocols. Customization • Can be customized to a large extent to match even very niche needs. • Customizations come at the cost of longer implementation cycles. This entry was posted in ERP and tagged Cloud, Cloud based ERP, ERP, On Premise ERP, SAP on May 24, 2016 by Nidhi Batra. This entry was posted in ERP and tagged #Industry, ERP, Oil & Gas, Software on April 7, 2016 by Nidhi Batra.